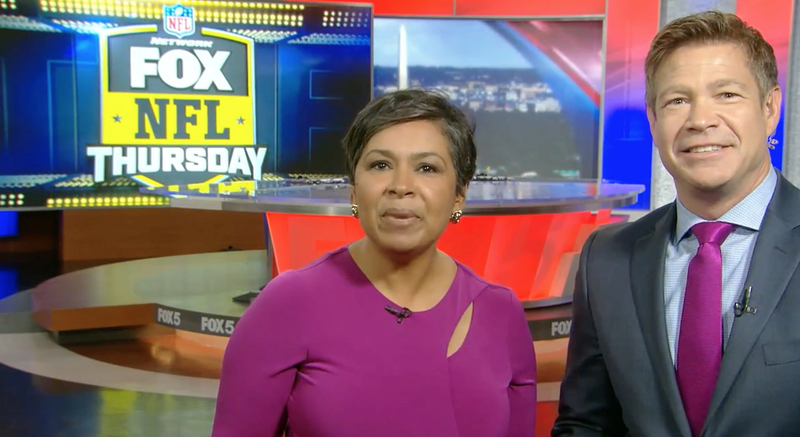 WTTG, the Fox O&O in Washington, D.C., devoted two minutes of a “Thursday Night Football” commercial break to an extended promo for the newscast following the game — as well as the next morning’s news. 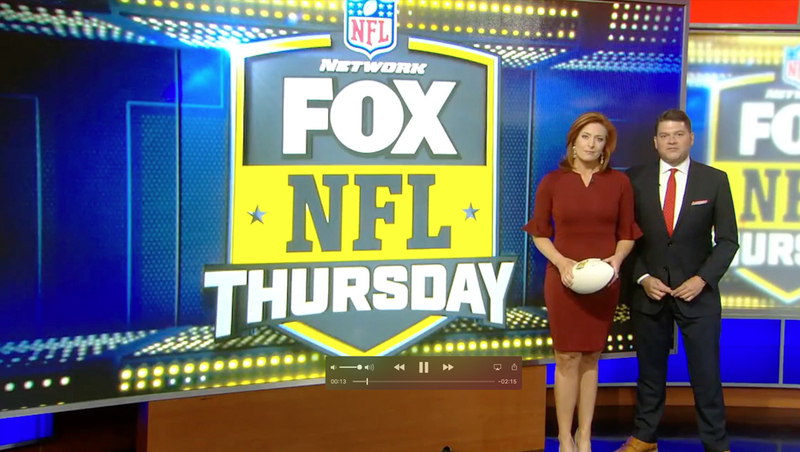 As they walked along the station’s LED video walls, which were decked out in the new Fox Thursday Night Football logo design, with Simmons carrying a football, the pair teased a story about Fortnite — as well as teasing a story aimed at anyone thinking of skipping work the next day (presumably from staying up late to watch the game and, hopefully, the station’s late newscast). In addition, the station promoted a sports related interview with Washington Capitals hockey player Alexander Ovechkin. The pair then walked over to the studio’s weather center where Simmons passed off the football to meteorologist Caitlin Roth who talked about football weather — complete with animated falling leaves overlaid. She, in turn, “tossed” the football off screen to morning anchors Allison Seymour and Steve Chenevey, though their segment was presumably taped earlier in the day and the “pass” was created thanks to clever editing. 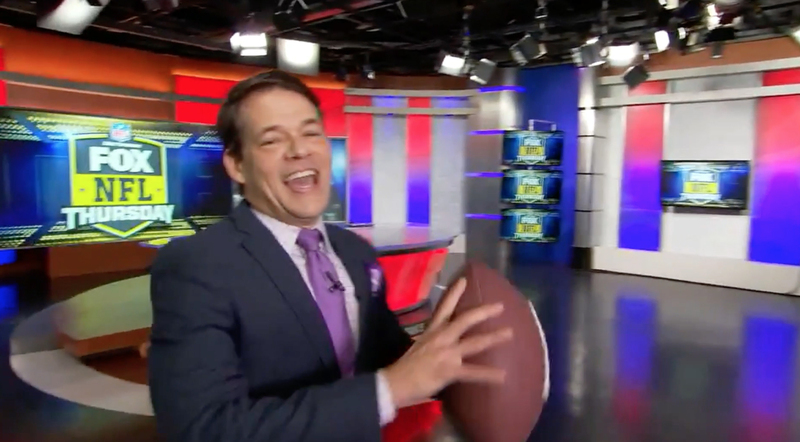 Barnes then tossed the football, while walking across the set, to traffic reporter Erin Como who had a brief tease of the station’s “Fox 5 Field Trip” segment. “Don’t touch that remote, the game is coming back in just minutes,” said Seymour.